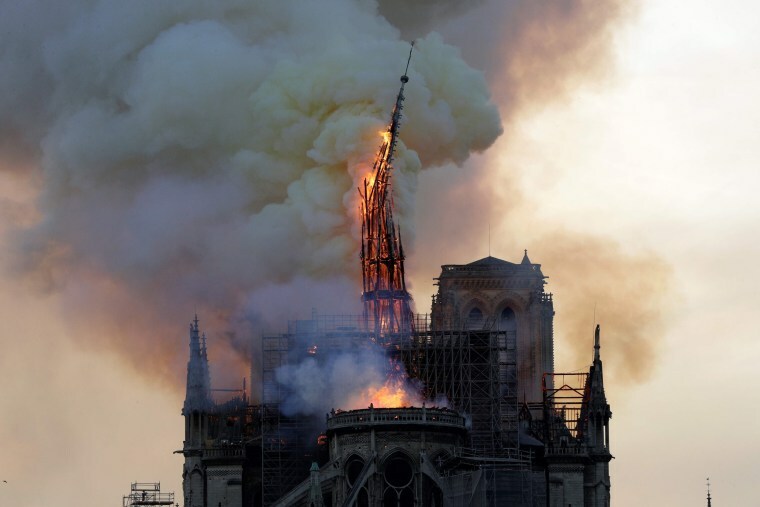 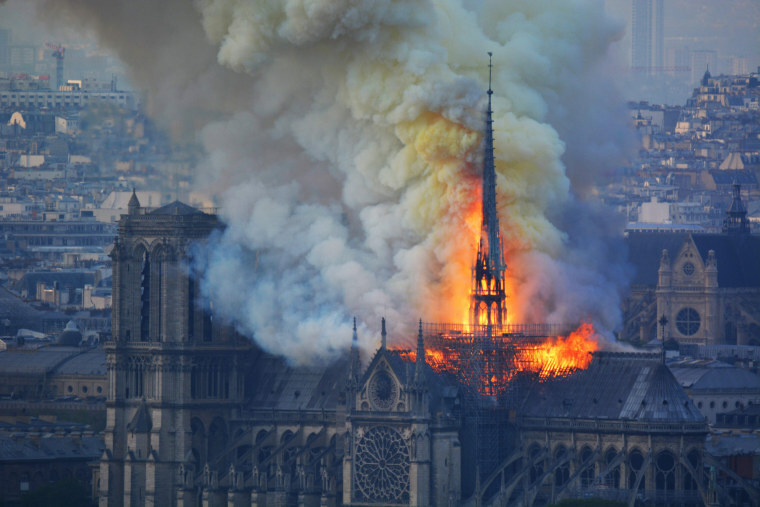 A blaze engulfed the historic Notre Dame cathedral in Paris. 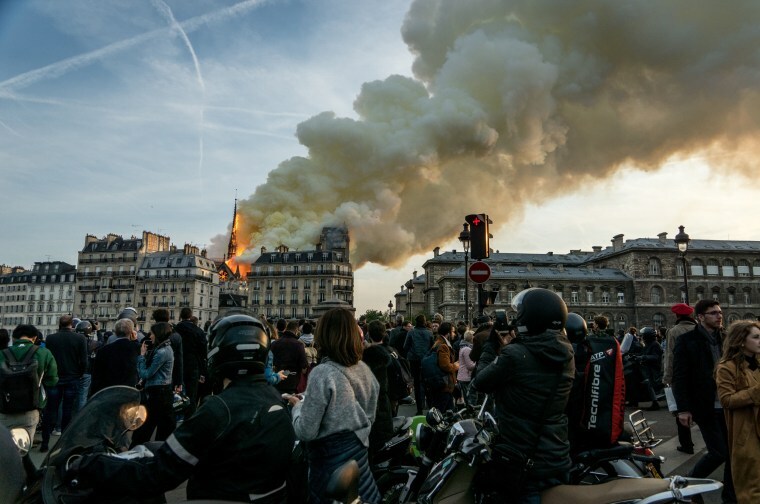 Smoke billows from the Notre Dame Cathedral in Paris after a fire broke out on April 15. 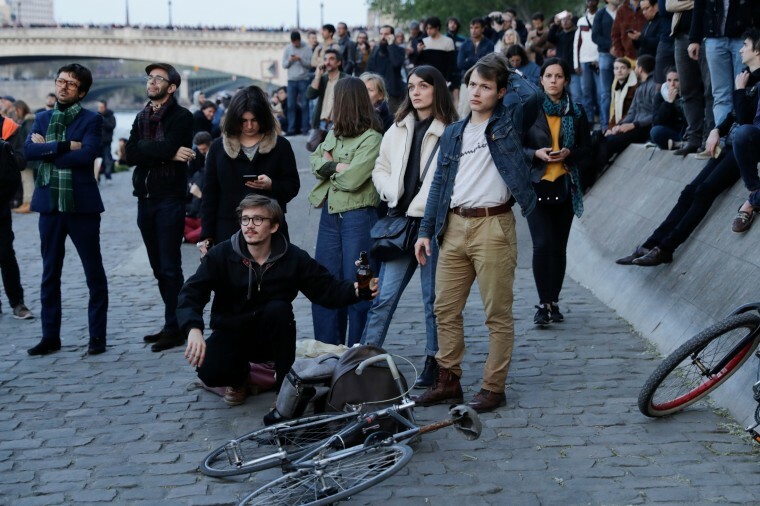 The sight stopped pedestrians in their tracks along the Seine River. 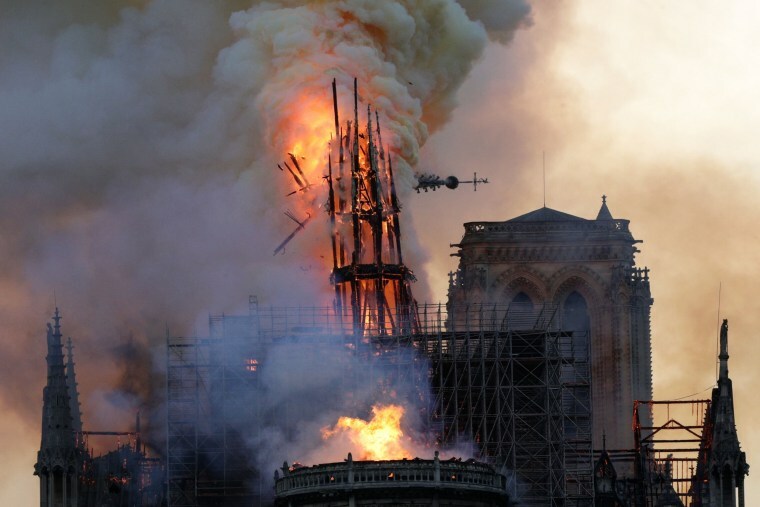 The peak of the 12th century cathedral was undergoing a renovation project. 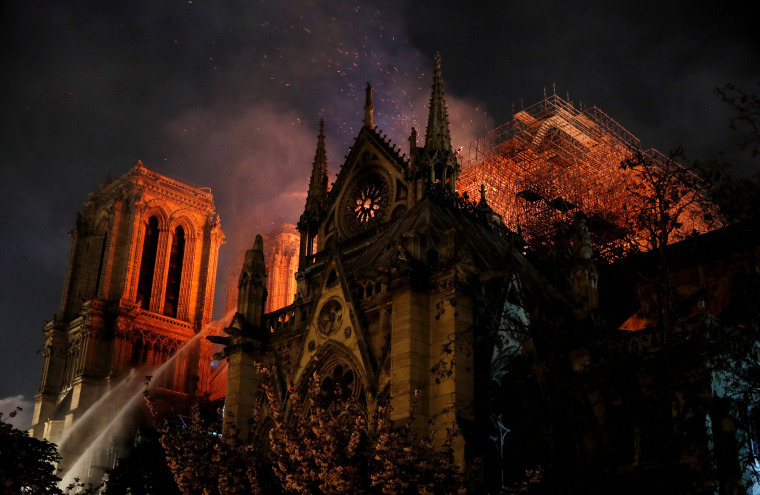 Firefighters work at the burning cathedral. 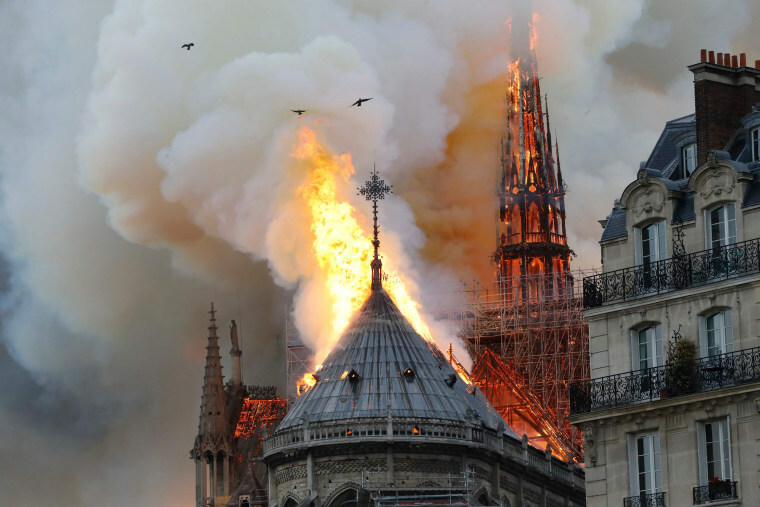 The steeple starts to topple as the cathedral is engulfed in flames. 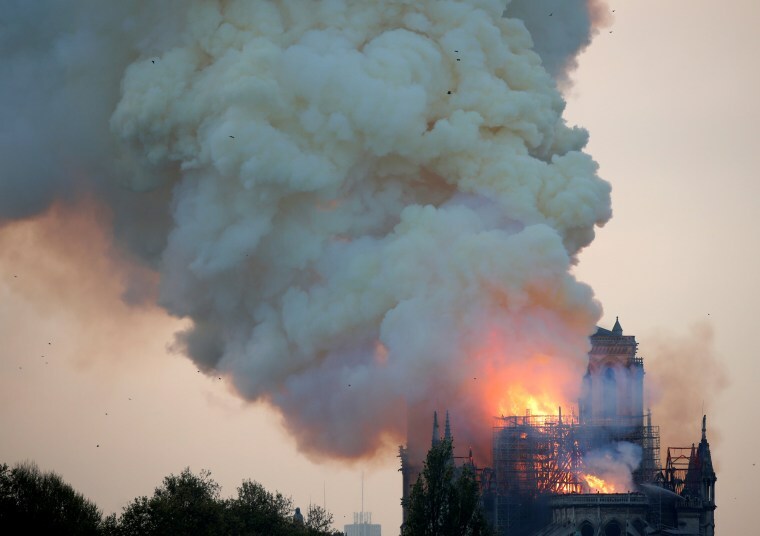 Smoke billows from the cathedral. 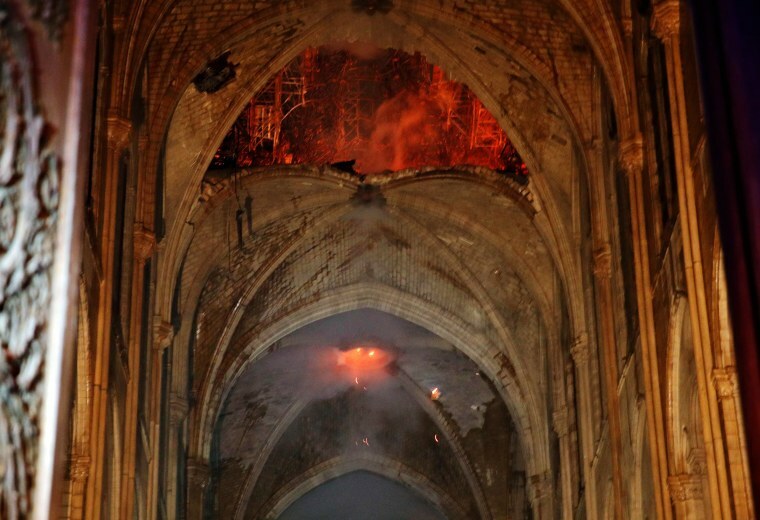 A woman watches the flames engulf the roof of the cathedral. 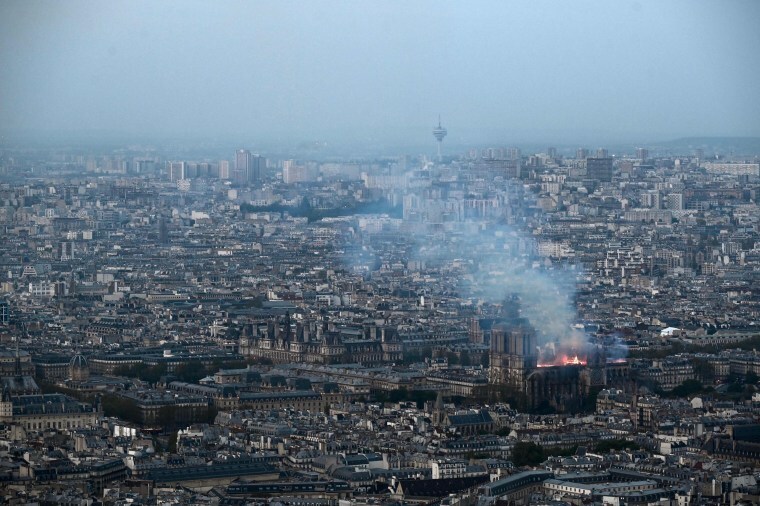 The fire at the cathedral is seen from the Montparnasse Tower. 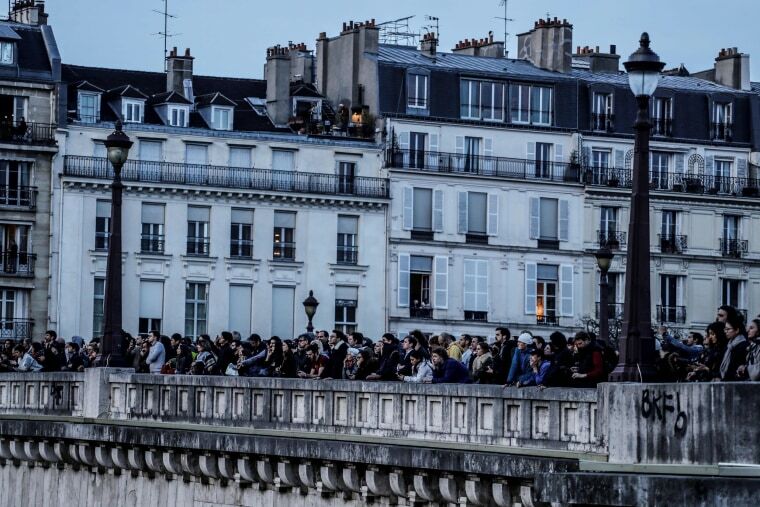 Parisians watch the fire from a bridge. 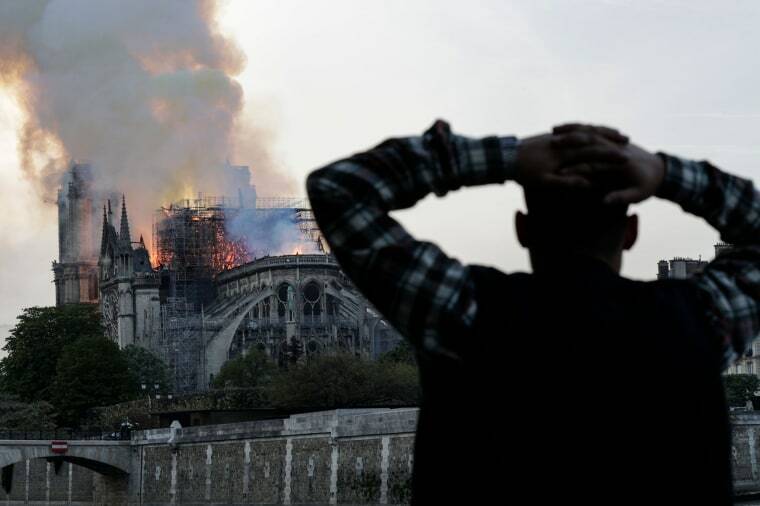 A man watches the cathedral burn. 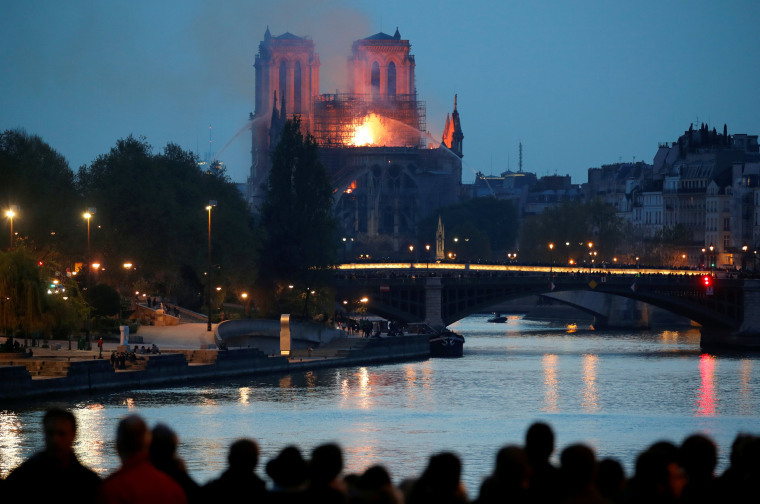 Firefighters douse the flames at the cathedral. 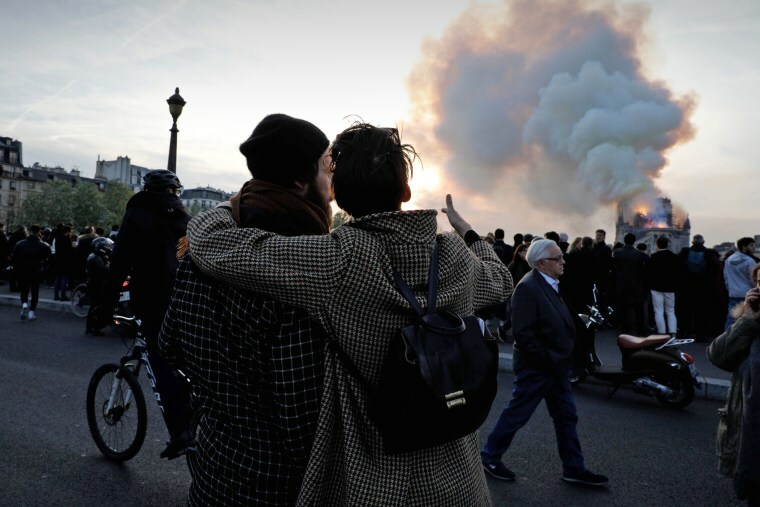 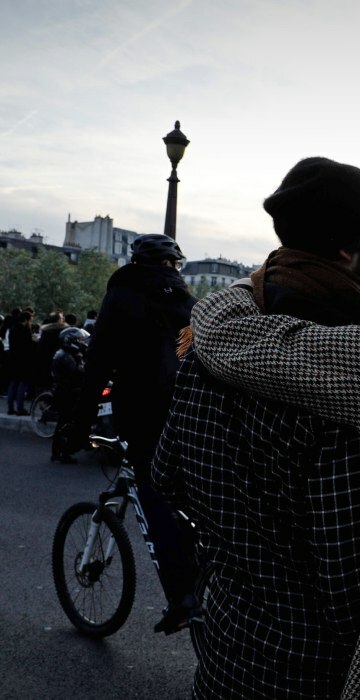 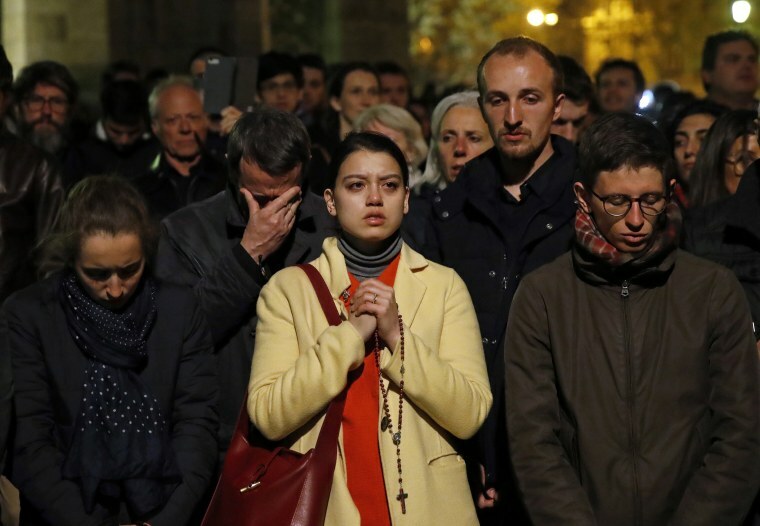 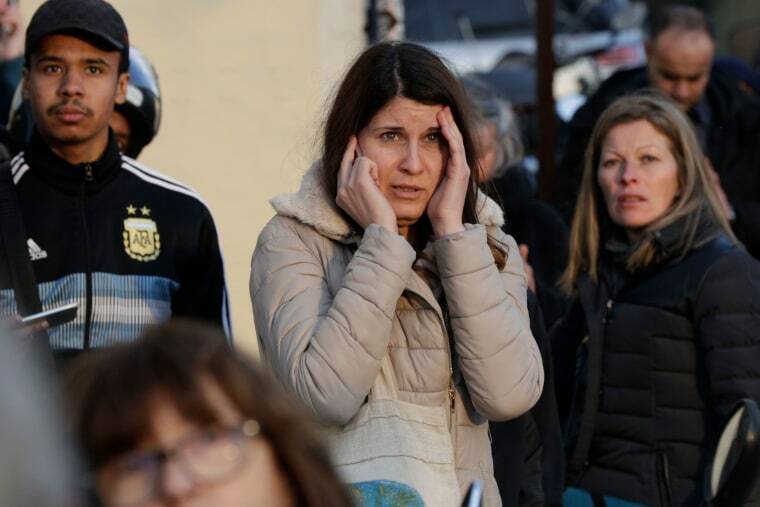 Parisians pray as the cathedral burns. 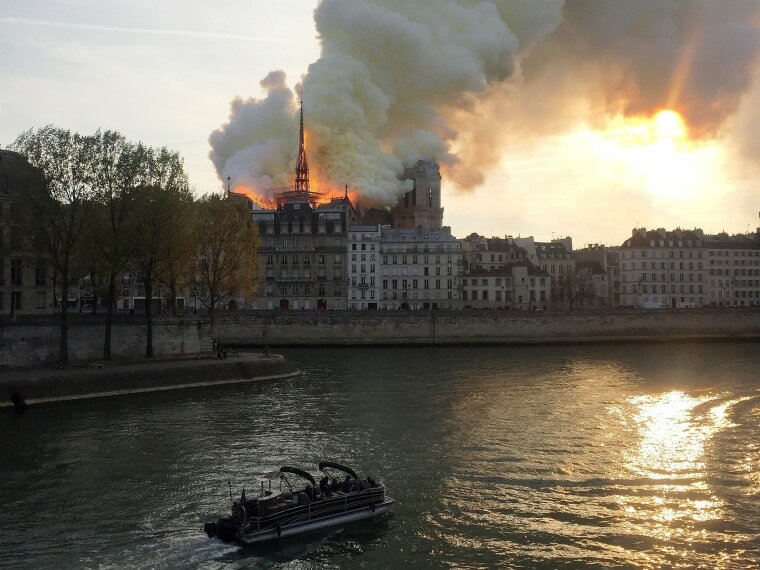 Four hundred firefighters were on the scene. 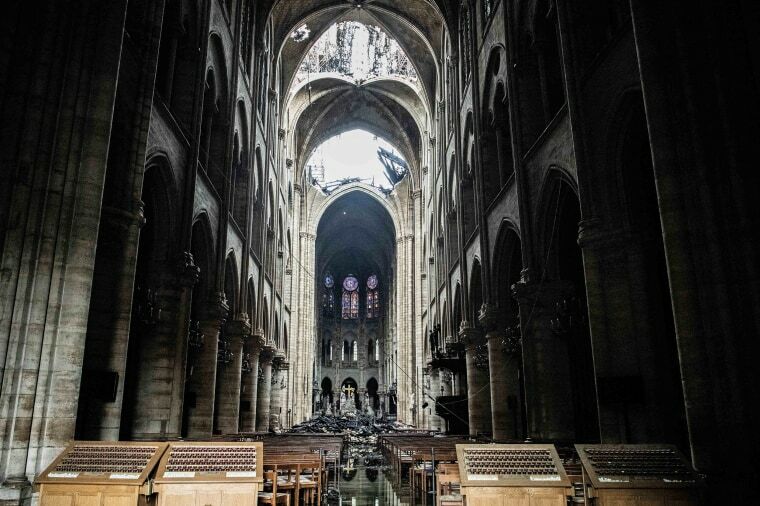 An interior view of the cathedral shows a gaping hole in the roof after the collapse of the spire. 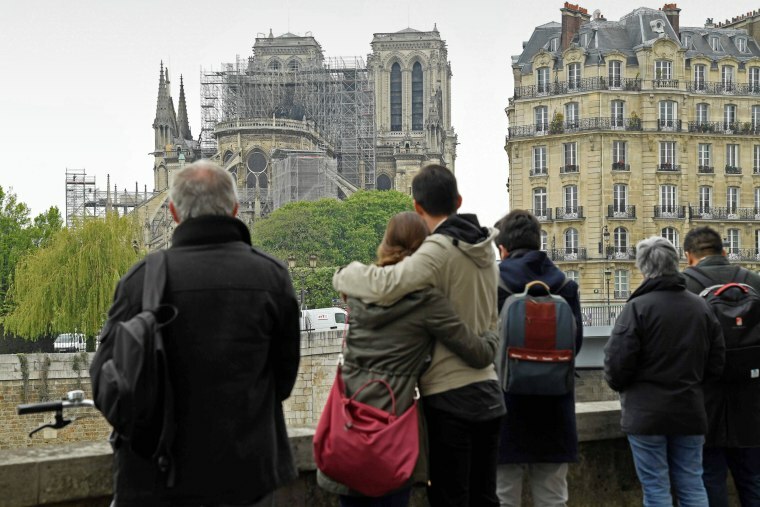 Parisians take in the devastated cathedral the day after the fire. 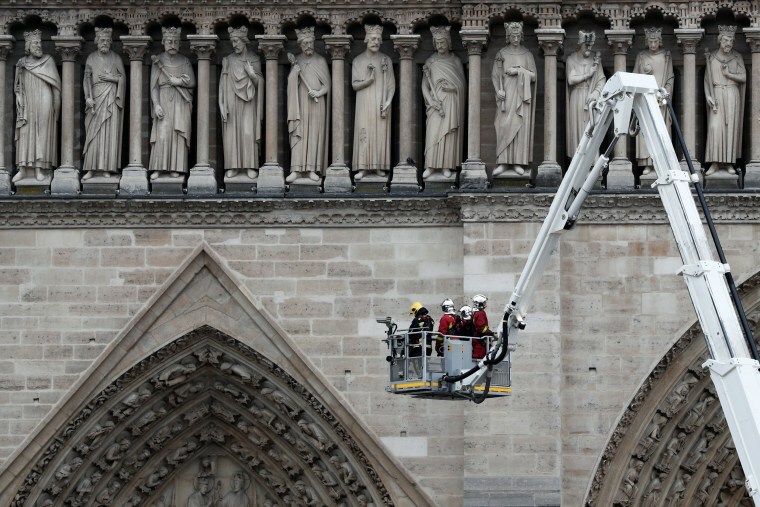 Firefighters work at the cathedral on April 16. 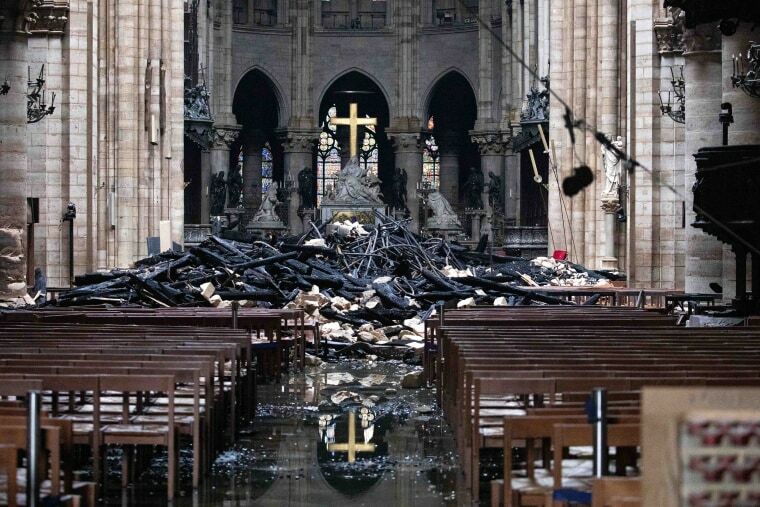 Fallen debris sits near the altar. 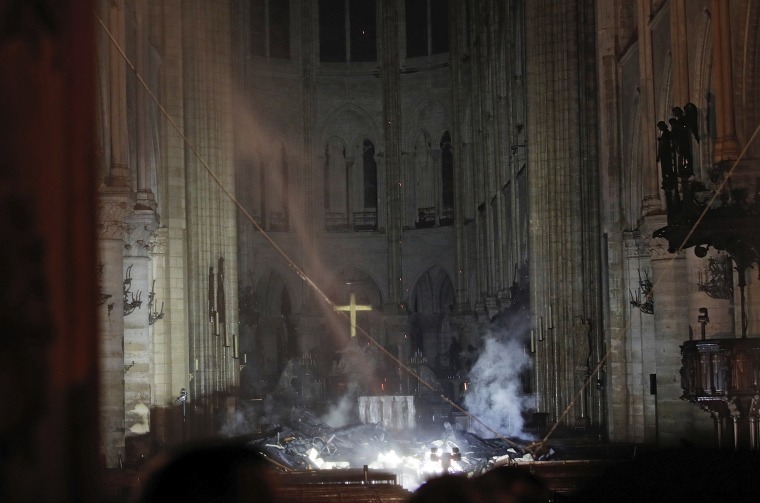 Sunlight streams through the roof of the cathedral.